CodinGame Blog: Back to the Code starts in 1 week! Back to the Code starts in 1 week! We're in the starting blocks for the next WorldCup Contest, "Back to the Code", that will launch in one week! Here's what the event will look like. 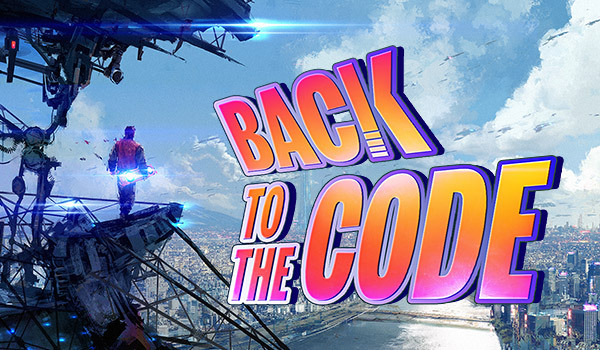 Back to the Code will be a Multiplayer game taking place in the world of Back to the Future. It will last for 8 consecutive days, allowing you to improve your code as you go along, whenever you wish. Basically, you can spend as much time as you like (even only a couple of hours) on writing your program over this 8-day time period according to your availability. Multiplayer games are a bit different than Solo Games you can be used to playing to when practicing on CodinGame. The aim of a Multiplayer game is to program a bot, send it into the arena and see how it behaves against other player's bots. The principles are those of A.I. programming: you need to think about the best possible strategy and take the most cases into consideration to tune your bot and defeat your opponents. The contest will be accessible whatever your programming level: it only take 10 to 15 minutes to program a functional bot that works, so even beginners can try their luck. Once in the arena, you can take more time to analyze other player's strategies and pick-up ideas to improve your code. Although Solo Contests are a good way to set yourself a personal challenge, Multiplayer games are perfect to have fun with people you know, because it's collective. You can choose to play against whoever you like who's participating, so don't hesitate to invite your friends to the game (we've just improved the "Invite friends" feature to this extend) and test your bot against them! We have some cool Multiplayer games going on that are perfect to train yourself before the event. The most appropriate game to get ready for Back to the Code is probably Tron. Don't forget to register to the contest to participate and see you on Saturday, September 26!